Originality is a fairly relative thing in today’s overcrowded and incredibly competitive smartphone industry. For instance, the iPhone X was technically not the world’s first “notched” handset, but one could definitely argue Apple started a trend that almost every single major Android device maker quickly followed. Meanwhile, a number of OEMs, especially those based in China, tried to find clever ways around cutting out parts of their screens. 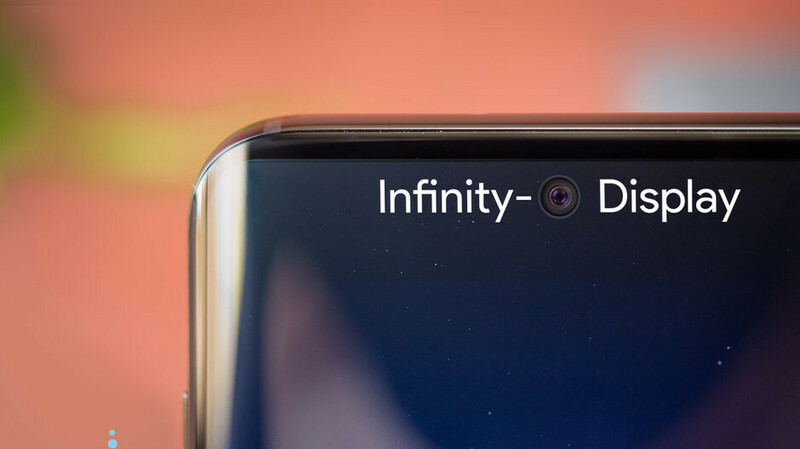 Samsung approached the “bezelless” problem differently, formally embracing several types of notches before hoping to realize its “New Infinity Display” dream. But now Huawei has a “point surprise” in the pipeline as well, and even though you might be inclined to call this a rip-off, you’ll want to remember the Galaxy A8s is technically not out yet. In fact, if Twitter tipster @UniverseIce is correct, both the Infinity-O Display-sporting Samsung Galaxy A8s and this mysterious new Huawei phone are scheduled for a December release. In case you’re wondering, yes, the Weibo account on which Huawei has just started teasing its first “hole-screen” handset is legit. Basically, the race is now officially on for who can deliver the world’s first phone with an in-screen camera cutout to global customers. But because it’s impossible to know which of the two companies came up with this concept first, the real question is who can do it better? As a matter of fact, that would have been the most relevant thing even if we knew who thought about a “hole-screen” smartphone design first. And remember, this is a trend that the Galaxy S10 is also expected to adhere to, so we probably shouldn’t be surprised if Huawei unveils some sort of a mid-ranger or China-only flagship next month with an in-screen camera cutout, followed by a similarly designed P30 and P30 Pro in the spring of 2019. Oh yeah, I did remember that patent. Many call Huawei copycats because that's what they are (although maybe not in this instance). Heck, they probably know it themselves. In this modern era it's increasingly becoming pointless to call one company a copycat because copying is what all smartphone manufacturers are doing right now, and it's exactly the path PC industry had gone through way before phone industry. Maybe it's time for us to let it go and accept mundaneness within modern smartphone design. We already accept. We just like originality more. Such as with smartphone designs. Well said BFD if they copy each other, better for us. I’ve said this before, and I’ll say it again: Huawei is coming! (PAUSE) Huawei is putting out feature rich smartphones that are packed with power, and they are releasing smartphones with flagship specs at less than flagship prices through their sub-brand, Honor. I remember when so many people thought that they would never take the #2 spot from Apple, and here they are sitting at the #2 smartphone OEM spot. This is not a dig at Apple, Apple fans. This is the truth. And they did this with little to no presence in the U.S. I can honestly see Huawei reaching that #1 spot unless Samsung steps it up, of which I know they are capable of doing. 2019 is going to be an interesting year, to say the least, concerning smartphones. In the beginning I found their phones to be just okay and thought it would be hard for them to take the #2 spot. But their R&D has really paid off and they've been releasing some excellent phones for some time now. This, combined with their agressive marketing has been very succesful for them. Agreed. While I have been using Huawei/Honor smartphones since the 6x, it wasn't until the Mate 9 that I really got wowed by their smartphones. They've really stepped it up, and I don't see them slowing down anytime soon. Hauwei have nothing to lose they are the underdog at the minute. They will reach number 1 in the not to distent future. The hard part is staying there, samsung and apple now have some major competition. As soon as they hit America its game over for Samsung, Apple. You are right about Samsung, but very wrong about Apple. Most people who buy iPhone buy it because iOS ecosystem, so no Huawei won't change that if it can't offer IOS, but for Samsung well yes they are in trouble. https://www.phonearena.com/news/Samsung-mobile-market-share-drops-huawei-xiaomi-oppo-gain-in-Q3-2018_id111352/ " While the global outlook might be bleak, when it comes to individual phone manufacturers, there are major shifts in both directions. Samsung is still holding tight to the first spot with a 19% share of the market, but it lost 13% of what it had in Q3 of 2018. Some of the lost share went to Huawei and Xiaomi. The Chinese brands now hold 14% and 9% of the global smartphone market respectively with Apple sitting between them at 12%. In Q3 of 2017 Huawei stood at 10% and Xiaomi at 7%, both marking significant improvement since then, meanwhile Apple sits comfortably at 12% in both reports." I can admit that Samsung is in big trouble, but like you see from that quote, Apple isn't affected by huawei or other chinese companies. Apple isn't in trouble because they have iOS, how hard is it to understand? Agree If they could hit the US tomorrow Samsung would be in big trouble. As for apple they are already out. Absolutely agree with you. Getting there is easier than maintaining it. Wow! Huawei is quick to copy. Does this mean Apple stopped being innovative since Huawei is not copying them anymore? lol samsung is getting samsunged. Good chance, apple already did. Huawei and Samsung is pushing each other to be great. This is good cause when it was just Google, LG n iPhone, Samsung didn't really feel the need to push so hard. That's kinda true, but not fully. Samsung did push the envelope quite a bit before Huawei's rise. Lol They even copy the way Samsung does their ads. I like meanest's replies above. They make great sense. Huawei definitely is capable of overtaking Samsung. Infact, I think the overall best smartphone of 2018, regardless of the price, is the Mate 20 Pro. Second is Note 9. And in value-for-money segment, it's the Poco F1.